Sometimes I wonder how things would have went if Diakron would have worked out here in the states and we never would have gotten The Transformers as we know them. I've always been a fan of the G1 Ultra Magnus toy and it's overall look. It's a pretty toy and he's always been a great character. But just look at that picture of the toy his mold came from and look at that art. It's hard to deny that with better marketing it could have been a bigger hit. 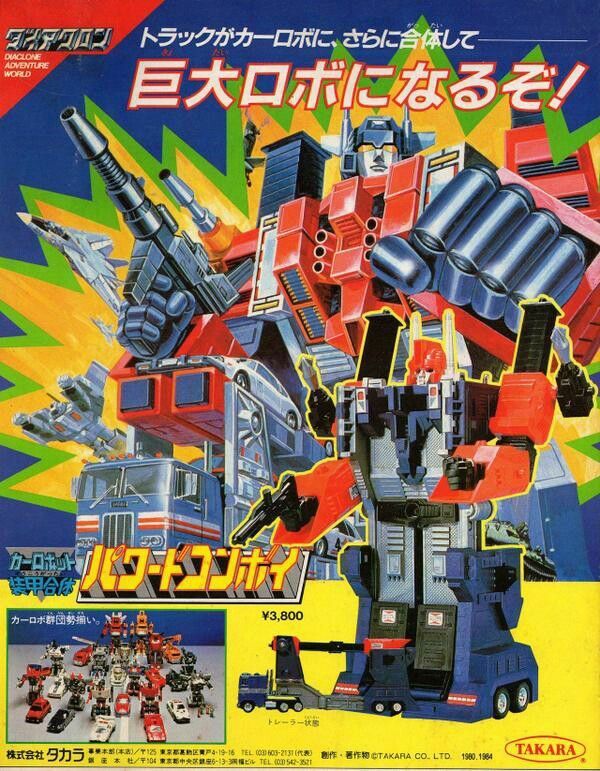 I can't help but to wonder how great a Saturday morning cartoon based on Diaclone could have been.